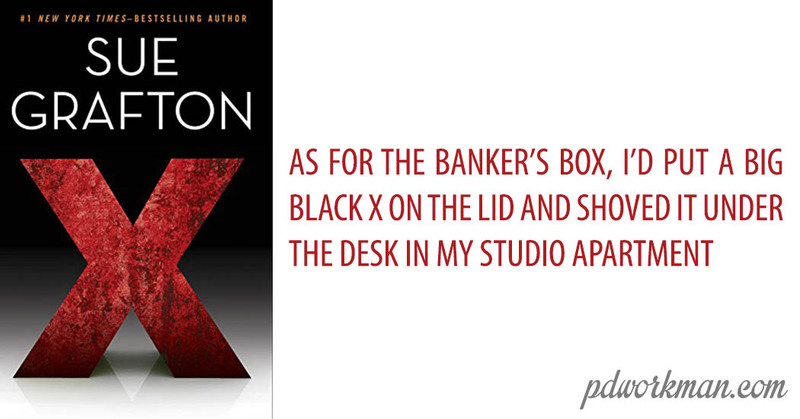 I am reading Sue Grafton's X, book 24 of the Kinsey Millhone series. I was sorry to hear of Sue Grafton's passing last year and that she wasn't able to finish the series. Kinsey Millhone is a fun PI and I have always enjoyed reading the series.